AP NTSE Online Application Form, How to fill the AP National Talent Search Examination Online Application Form, User Guide To Fill In The Online Application Form For NTSE Examination. Before filling the Online Application Form, keep the following details ready to fill in the appropriate fields. All the details should be entered as per school records. 1. On your Internet Browser, type the website address www.bseap.org, press ENTER button and you will see the BSEAP Web screen displayed on the computer screen. 3. Click on SUBMIT APPLICATION Button. 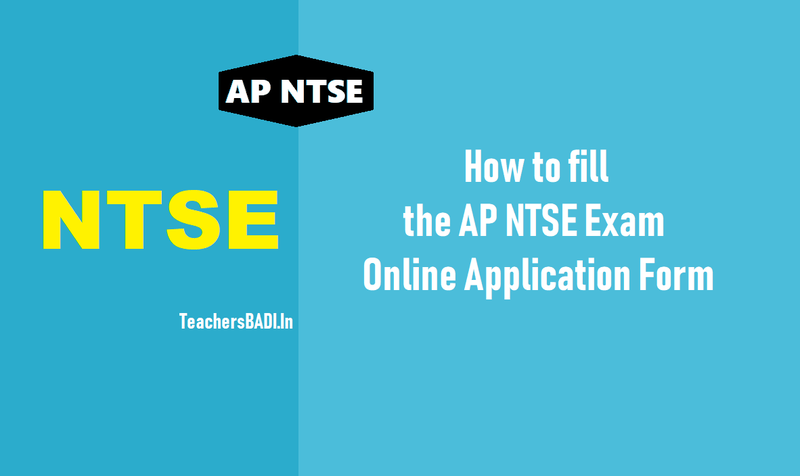 Then you will see the AP NTSE Exam Online Application Form following screen. 5. Click on PRINT APPLICATION to get printed application form. 7. Get the printed challan and make payment in any SBI Treasury Branch. Keep a copy of application form and paid challan for future use. 8. Application form should be attested by concerned head of institution. 9. Submit Attested Application Form, paid challan and relevant documents in your concerned DEO office.